Chick-Fil-A of Ammon is looking at a Dec. 8 opening, say the owners Lauren and Nate Mosteller. The restaurant is located in the old Fazoli's, at 3003 S. 25th East. Applications are being taken now, and the Mostellers plan to employ 65 people, including a cow mascot. You can apply in the trailer behind the construction site -- Mondays and Wednesdays from 11 a.m. to 1 p.m. and Tuesdays and Thursdays from 5 to 7 p.m. -- or online at http://www.snagajob.com. The Mostellers hope to start interviewing people in early November. The couple moved to Idaho Falls from Georgia earlier this year. 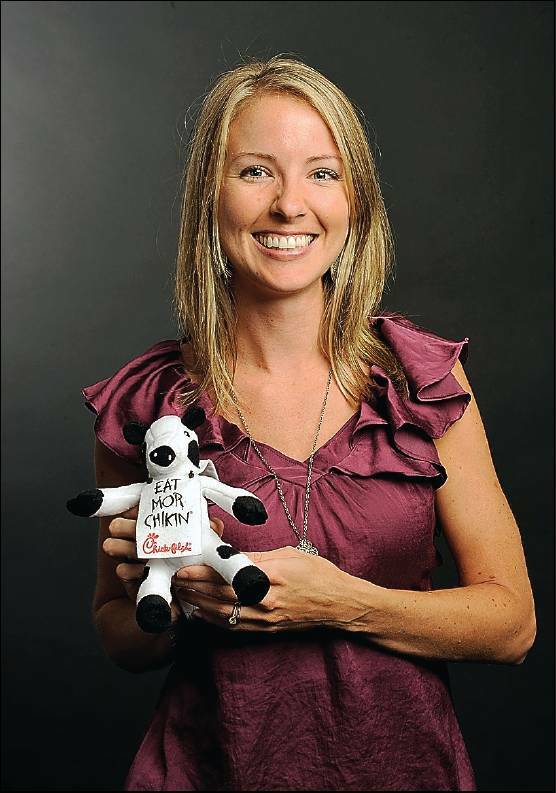 Lauren Mosteller, who is opening the Ammon Chick-Fil-A with her husband, Nate, and the company's mascot.